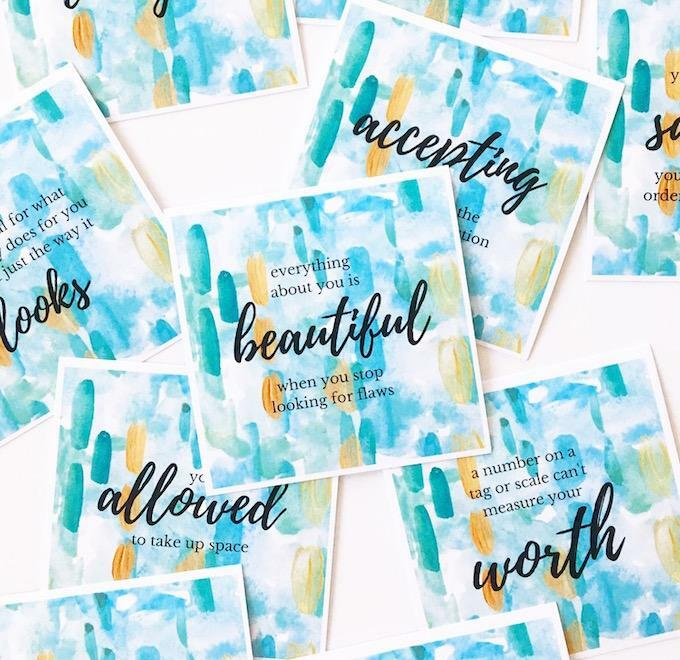 I feel like I’ve been slacking on my Thursday Things posts lately so I wanted to pop in a share a few things with you! 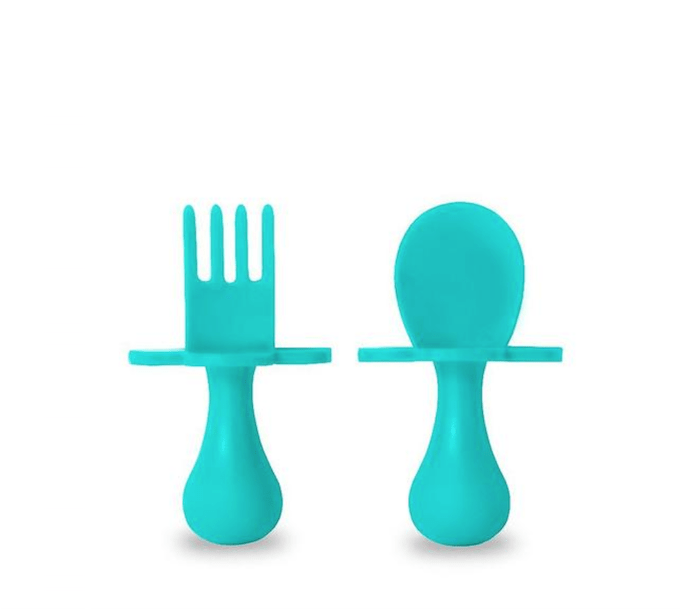 Has anyone tried these Grabease utensils for your little ones? I’m starting to give Little Miss a spoon occasionally and I think she might do better with these shorter ones than the traditional long-handled ones we have currently. I found Rachel on Instagram a couple weeks ago and love her. Check out her shop for all sorts positive love notes, an “Already Enough” bracelet I love and more! I don’t wear makeup…but lately (and by lately, I mean for the past 3.5 years since I had my first kid), the dark circles under my eyes have been a little out of control. 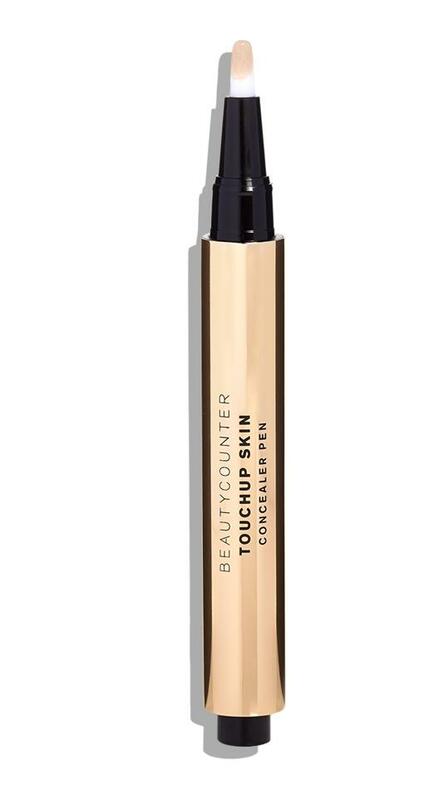 I recently tried this concealer pen to try to brighten them up a bit and am really liking it! No, I don’t sell Beautycounter. Yes, I do use it- I like their shampoo and conditioner, use their face lotion every day and I just bought the kids shampoo and conditioner for Squish to try. Have I mentioned my love for Lakeshore Learning lately? If I had a million dollars I would buy everything in the store – especially all the educational stuff. We recently went in there to get a big calendar to help Squish learn days of the week, when he goes to school, etc…but we also came out with this marble run, which has been a big hit! 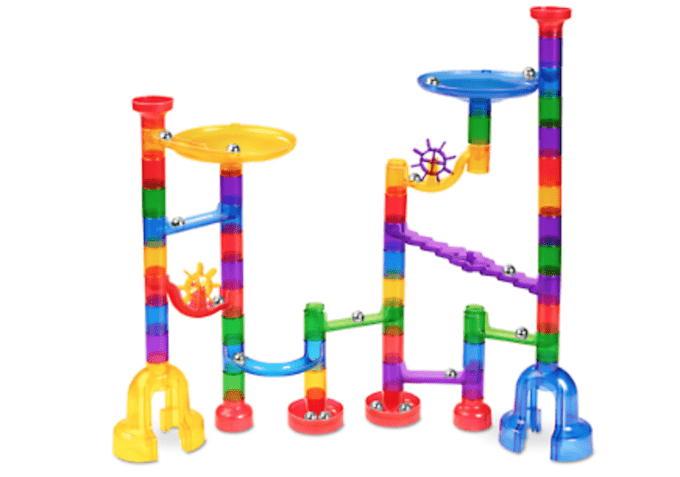 Both hubby and I had marble runs when we were little and loved them and this one seems to be a hit with Squish. I love that it’s clear so he can watch the marble the entire way. I was a bit nervous about the small marbles and Little Miss but so far we’ve just kept it up on a table or counter, talk about how important it is that he doesn’t drop the marbles bc Lyssie could choke, and watch closely when he’s using it! I talked about this on my Instagram stories last week when someone asked me what supplements I give my kids. Squish gets a probiotic with fiber and a magnesium supplement every day for his constipation issues and then these liquid omegas is the latest one I’ve added for both of them. I love that it’s liquid. It has a strawberry flavor and the dose is only 1/2 a teaspoon so I just mix it into their applesauce. 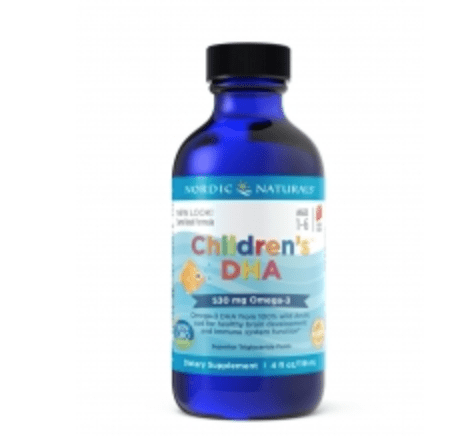 Hubby and I also take the Nordic Naturals brand of fish oil pills ourselves…and I also take Vitamin D and a probiotic daily. Ok, i think that’s it for now! Have you found anything cool lately that I should check out? Those little forks and spoons are so cute! Have you checked out the Num Num Gootensils before? My SIL got some for her little man when he was younger. Hi Lindsay! Would you share the links for which probiotic and magnesium supplement you give your son for his constipation issues? We are going thru the same thing with our son. 🙁 He does get Natural Calm from time to time, but I’m wondering if you have found supplements that work especially well. Thanks!! What probiotic do you take? What probiotic and magnesium do you give Chase? My son has constipation issues too. You find these help? Natural Calm Kids Magnesium and Culturelle Regularity (probiotic + fiber) packets. They don’t completely solve our issues but they definitely help.